It's Fayetteville's premier indoor climbing and bouldering gym. It's conveniently located in the heart of the historical downtown district, Novice or advanced, there is something for everyone! Army City McPherson Church Rd. Fayetteville is the county seat of Cumberland County, North Carolina and is best known as the home of Fort Bragg, a major U.S. Army installation northwest of the city. It's the 6th-largest city in the state. 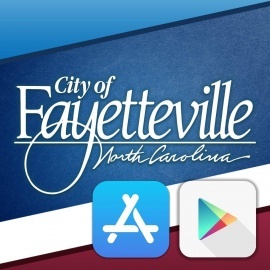 Fayetteville has received the All-America City Award from the National Civic League three times. The city is in the Sandhills in the western part of the Coastal Plain region, on the Cape Fear River. Suburban areas of metro Fayetteville include Fort Bragg, Hope Mills, Spring Lake, Raeford, Pope Field, Rockfish, Stedman, and Eastover. A visit to the communities of Cumberland County will make you proud to be an American. There?s a patriotic spirit running through Fayetteville that unites everyone who lives here, as well as those just passing through. Finding the right flowers for mom on Mother's Day is essential, so getting great service and a quality arrangement are extremely important. Come just for Dominican Bachata workshop with Jose Paredes. This will be full of footwork, musicality, and connnection wrapped all in one.